We are expecting new products to show up like Galaxy S4 Mini or maybe rumored digital camera Galaxy S4 ZOOM on the event date i.e. June 20th. Samsung on Monday said it plans to hold a press conference in London on June 20th to debut several new devices. 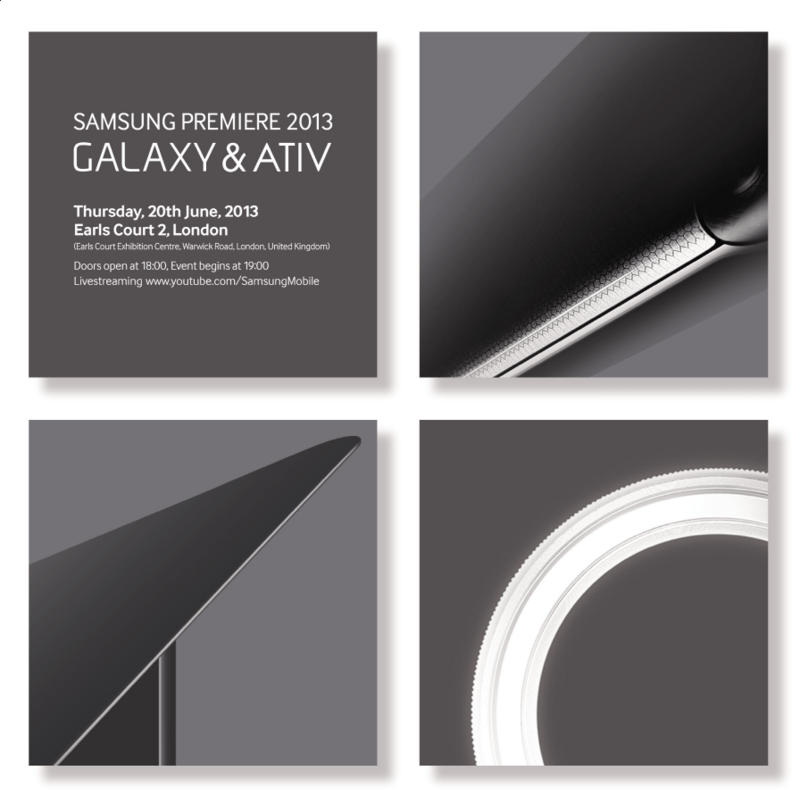 The company issued invitations under the heading “Samsung Premiere 2013 Galaxy & Ativ,” confirming that both Android and Windows devices will be unveiled during the event. It is unclear what models Samsung plans to showcase — “Galaxy” covers Android phones, tablets and even cameras, and the “Ativ” brand includes laptops, tablets and Windows Phone devices, so narrowing it down that way is impossible. Samsung did include a few teaser pictures on its invitation though, and two of the images appear to show close-ups of a notebook computer. The teaser images follow below.